No journalist should have to report on their friend’s murder. 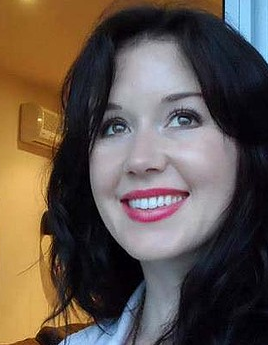 JILL Meagher’s death is an unfathomable tragedy. Her family remains in a state of shock and despair. My heart goes out to them. But I want to pay tribute to Jill’s ABC colleagues. My former colleagues. This has undoubtedly been one of the toughest weeks of their lives – both personally and professionally. But rarely are they so close to the victims of these traumas. “It’s hard to walk both sides of the street on this one,” 774 mornings host Jon Faine told listeners today. As perhaps ABC Victoria’s most well known personality, Faine’s reactions and remarks have been instructive. He has given a voice to the whole ABC Radio team. Days after Jill vanished police made repeated visits to the home she shared with her husband, Tom. They took away bags and cases filled with undisclosed belongings. Unfounded mutterings began to surface on social media suggesting Tom was perhaps involved in some kind of foul play. Why else would they search the home. Faine took to the airwaves to defend Tom. In doing so, the radio veteran acknowledged he was probably overstepping a line. The MEAA journalists Code of Ethics compel reporters to “respect private grief and personal privacy”. Which is all very well – except when the grief is the reporter’s own. The Code also says journalists should “not allow personal interest … to undermine [their] accuracy, fairness or independence”. Which is fine, except when your “personal interest” is only in your mate’s safety, against all the odds. 774 Radio manager Cath Hurley paid tribute to her staff this morning, saying they have covered the issue “straight up and down” and she was “proud” of them. She is right. They have been stoic. They have been brave. They have been exactly what they needed to be. It’s all too easy for reporters to become desensitized to trauma and loss. To the trauma and loss of others. It’s natural, and often necessary. This week’s events will have shattered any emotional barriers that ABC reporters may have built up over the years. And the next time a woman is abducted, raped or murdered on the streets of Melbourne – and sadly, there will be a next time – the events of the past week will come flooding back. There is a lot of grieving to be done, a lot of questing why and a lot of healing. My thoughts are with everybody in the ABC family. Previous Post PM Julia Gillard’s unspoken ACL speech. Next Post Do me a favour? Ignore Alan Jones. What about the Meaghers? Cheap one I know but your last line is misjudged. The article is specifically about the grieving Journalists who worked with Jill, not the family. Give the guy a break. My thoughts are with you…I didn’t know Jill, but I know all too well how hard it is to detach a personal feeling of loss from the story. The fact that you, and so many others, are having to grapple with this sense of emotional dissonance right now is more tragic than a lot of people outside of the craft can understand. Stay strong. Good on you for paying respect to her.